A BEST SELLER for seven years! 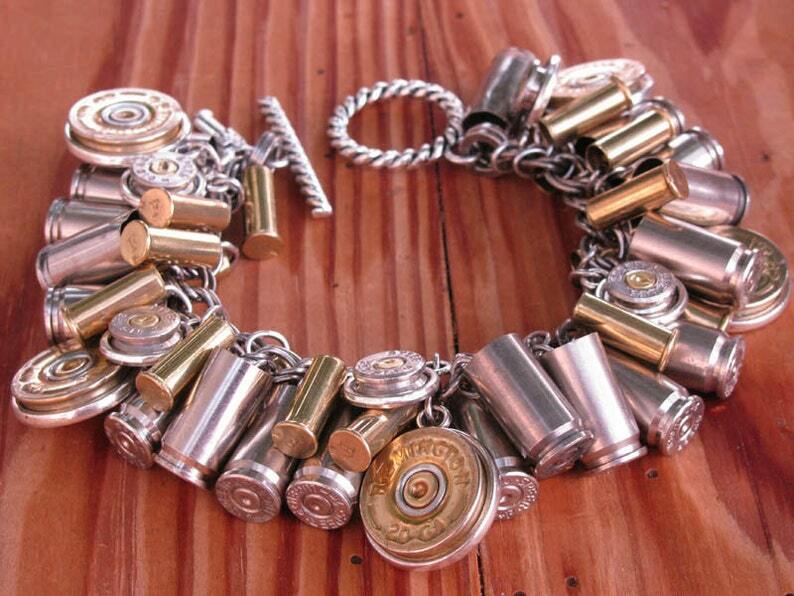 This charm bracelet is "loaded" with style, utilizing both bullet AND shotgun casings in a great mix of both nickel and brass. We've brought together just the right mix of small brass 22s, nickel 9mms, nickel 357 sigs and 20 gauge shotgun casings. We say "Wow!" Using our patented process, we've prepared all of the casings for this substantial bracelet. 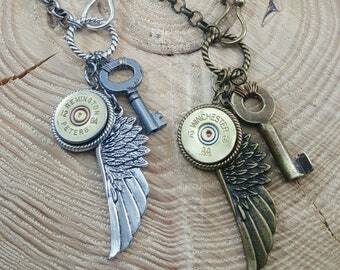 The casings are suspended as charms and are flanked with 20 gauge shotgun casings and nickel 357 sigs, all set in quality bezels (never drilled). The bracelet chain is a proportionate double curb link in antique silver and closes with our signature rope or smooth toggle clasp. 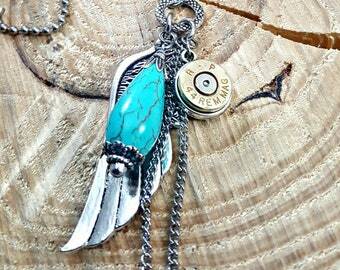 The bracelet is 7 1/2 inches long and as with all of our SureShot designs, comes with our signature pistol charm and logo tag. NEED THIS BRACELET LARGER OR SMALLER? Please convo us PRIOR TO PURCHASING right from this listing. Additional charges may apply. The bracelet makes a super statement! It has a slight jingle as well! WANT THIS IN A BOOT BRACELET? We have it and its exclusively ours! It's been pinned on Pinterest thousands of times! Brands of casings vary. Email us prior to purchase with any special brand requests. Note that we use either a rope textured toggle or a smooth toggle. You will receive one or the other. Shown is the rope toggle in the photos. 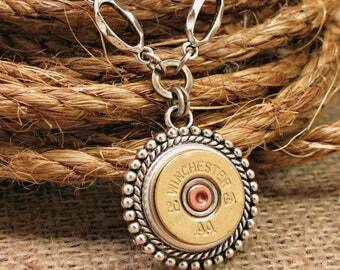 Shotgun Casing Jewelry - Bullet Jewelry - Mixed Metal Loaded Bullet & Shotgun Casing Charm Bracelet - BEST SELLER for 5 YEARS! Amazing bracelet! Will purchase more soon.